Ann McClellan is Professor and Chair of English at Plymouth State University where she teaches classes on 19th and 20th century British Literature, film/adaptation studies, and digital literature. Her scholarship interests include Sherlock Holmes and/in popular culture and British women’s campus fiction. 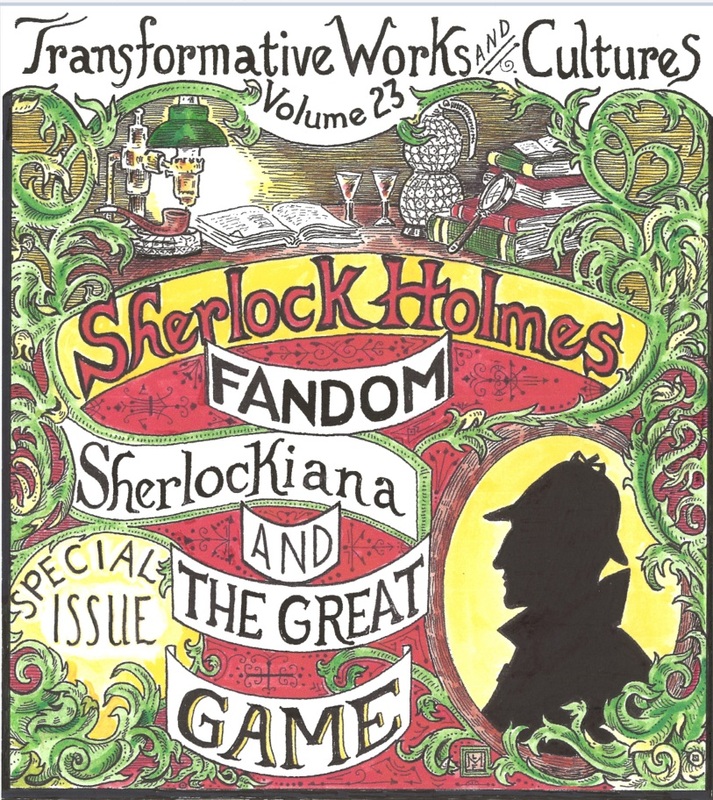 Today, Ann talks about her article on Sherlock Holmes fandom in the latest issue of Transformative Works and Cultures. How did you first become aware of fandom and fanworks? In a sense, I always ‘knew’ about fandom through my own research and teaching interests in adaptation studies, but no one ever called such texts “fan texts” when I was in school. I’ve long been interested in how ‘authorized’ writers and filmmakers have colonized and transformed canonical texts like The Scarlet Letter , Jane Austen’s novels, and Shakespeare’s plays, but it wasn’t until a friend introduced me to Sherlock when it premiered on PBS in 2010 that I really learned about fan culture and fandom more specifically. Of course, events like ComicCon had already entered the contemporary zeitgeist by 2010 when Sherlock reached the US, so I was aware of such gatherings, but I had no idea how pervasive and diverse they were until my own explorations in online Sherlock fandom beginning in 2011. I can’t remember the precise reason or prompt, but I began researching Sherlock online and discovered LiveJournal and fan fiction for the first time—in my forties! I instantly became addicted to the serial nature of fan fiction and writers’ ability to immerse me into the show’s world through various ‘fix it’ fics, AU fantasies, slash, and other genres. Soon, this new world of fan fiction became my personal and professional obsession and my previous plan to write a book on Sherlock Holmes in popular culture quickly morphed into a book on Sherlock fan fiction and world building. What particularly interests you about Sherlock Holmes fandom? I’ve been a Sherlock Holmes fan, albeit an amateur one, since my mother introduced me to Jeremy Brett’s incarnation in the 1980s (as you can see, PBS has played a long role in my fandom identity!). I began teaching Sherlock Holmes stories while studying 19th and 20th century literature in grad school, and I originally wanted to write my dissertation on identity and disguise in mystery fiction, but I think my advisor was worried I wouldn’t get a job! While my early (and continuing) research focused on the history of British women’s higher education and the women’s campus novel, specifically, I continued to use Sherlock Holmes in my classes for over a decade, but I didn’t seriously consider pursuing the character as a research topic until I saw Sherlock and discovered the wonderfully creative fandom. While I primarily used my personal interest in Sherlock as a way to learn, teach, and write about fandom, I am also fascinated by the long history of fan participation with this character. Readers were obsessed with Sherlock Holmes once he started appearing in The Strand magazine in 1891 and they wanted to know everything about him. There is wonderful lore about fans sobbing in the streets upon learning of his death in “The Final Problem” (1893) and of young men wearing black armbands in mourning. Newspapers in the UK and US published faux obituaries and started talking about Holmes as if he was a real person. When Conan Doyle killed Holmes in “The Final Problem,” fans refused to let him die and instead began writing and publishing their own fan fiction in Titbits. Conan Doyle himself noted in his autobiography that he’d heard of a group of young French schoolboys on a tourist trip to London who first wanted to visit where Mr. Holmes lived and ran his detective agency, perhaps one of the first examples of literary tourism. In the 1930s, of course, after Conan Doyle died, several international fans created their own exclusive Sherlock Holmes fan societies like the Baker Street Irregulars and the Sherlock Holmes Society of London. All of these activities put contemporary fandom in wonderful perspective and gives us great insight into how audiences participate in fandom over time. As the most portrayed fictional character of all time, I was fascinated by what made Holmes so instantly recognizable, portable, and beloved over the past 100+ years, and I was excited to learn how fans engaged with the character over time. What do you hope readers take away from or engage with in your article? I was really excited to do archive work at the Portsmouth City Library, which has a substantial gift from the late Holmesian scholar, Richard Lancelyn Green. I loved delving into box after box of newspaper clippings to discover unknown newspaper articles, merchandizing items, and promotional gags. So much of fan research is digital—with online fan communities, fan fiction, vids, fan art, etc.—so it was exciting to be able to use my dusty old research skills to connect contemporary fan practices to 19th century behaviors and interests. I hope readers get a broader sense of the history of fan practices, especially the ways in which corporate entities like the Titbits newspaper and George Newnes, in particular, participate in and even fabricate opportunities for fan engagement. We often think of fandom as something new and something in the hands of the audience, but my research revealed a long history of how businesses and publishers like Titbits played important roles in devising, ‘activating,’ and controlling seemingly amateur fan spaces. Perhaps this will make us think more deeply about the supposed divisions between author and fan, between corporation and individual, and between corporately controlled spaces and fan controlled spaces. How did you hear about Transformative Works and Cultures and what do you see its role as? I’m an avid reader on Archive of Our Own, so I was familiar with the amazing work being done by the non-profit Organization for Transformative Works. I learned about the companion journal from the organization and from other well-known scholars publishing in the field. At the same time, I was just beginning my own foray into fandom research especially at the Popular Culture Conference, where I learned that Transformative Works and Cultures was one of the premier journals on fandom studies. I was also pleased with the journal’s commitment to open access and the rigorous and rewarding peer review process. I’m incredibly impressed by the level of passion, intelligence, and dedication in fandom. Media so often denigrates popular culture fandom (often because it seems to be aligned with female fan activity, while ‘masculine’ fandoms like sports fandoms are seen as ‘normal’ and acceptable in American and UK culture). But when one looks deeply into different fan communities, one is more often impressed by the level of skill and dedication evident in various fan works. Because my interest is primarily in fan fiction, I’m amazed by all of these writers who spend thousands of hours writing fanfics, for other fans, for free. This requires an amazing amount of work, just to immerse themselves in something they -— and others -— love, and I love that passion. It’s made me proud and much more vocal about my own interests; it’s liberating to own the things you love. AO3 Reaches 3 Million Fanworks!